…It won’t be here anytime soon. Halo, like many other popular titles has entered into a world that many other publishers and developers have themselves fully embraced or gradually slid into. That world is ‘games-as-a-service’. You might have heard of it before. But if not, I’ll give you a brief run down. Games-as-a-service is a different approach to your typical annual or two-yearly releases, and usually involves a persistent environment. Some titles, such as FIFA or Call of Duty still utilise the older approach but they’ve also built in elements that sort of bridge the gap between conventional release and games-as-a-service. Traditionally, some popular titles come out every one, two or three years and once released the studio starts working on the next one. Games-as-a-service diverts from this approach by providing a product that has more long term potential that will both provide additional content for the player and generate income. Think of it as comparing a film to a TV series. One is a single release that generates profit in a flurry and then slowly drops out of public view until the sequel comes along. Games-as-a-service takes the TV series approach and generates an initial income much like the conventional release and then maintains an audience, long term, because it runs for a longer period. And this doesn’t just involve DLC. Is he on holiday or on a mission? We won’t find out for a while. If you want examples of this then just look at Halo 5. We had the initial release, then additional content (Forge etc) was added a few months later to both provide the audience with additional content to play around with but also to generate income via audience retention and bringing in new players because it’s still being played and discussed. There’s also the REQ packs to consider. Since then we’ve had additional updates and eSports involvement, which all helps keep the game in the public eye, keep people playing and ultimately spending. This isn’t a bad thing by the way, it’s business. By now, some of you might be jumping up in the air exclaiming 343’s free DLC approach. And you’re right. How can a company continue to make money if their DLC is free? It’s all about community engagement, audience retention and quite possibly trying to make up for previous mistakes. Remember the Master Chief Collection’s technical issues, and how that angered the community? And without a solid community it’ll make the task of generating profit all the more difficult. So Microsoft and 343i are playing the long game. Get the fans onside again. Get that support back. But there are, if you want it, things that you can buy to speed up your progress in terms of getting new toys and making your Spartan avatar look even more badass. And the REQ packs are a big part of this. 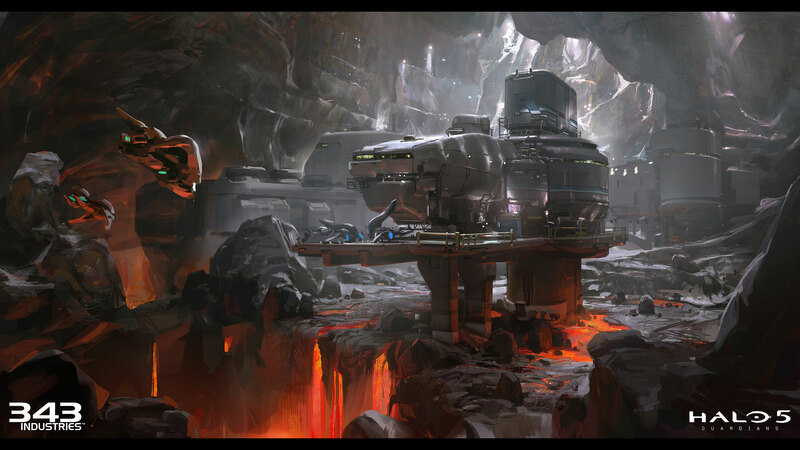 One hopes that Halo 6 is much further in development than just concept art. Other games use the same method, more or less, though some are more tasteful than others. Destiny had a similar approach, but with that game you paid for just about everything, probably because Destiny had a loot system that was specifically designed to keep you engaged and keep you playing and you were more likely to part with real money in order to keep up. Elite Dangerous is another example. A mix of free and paid DLC ensures content is kept up-to-date and also generates profit. 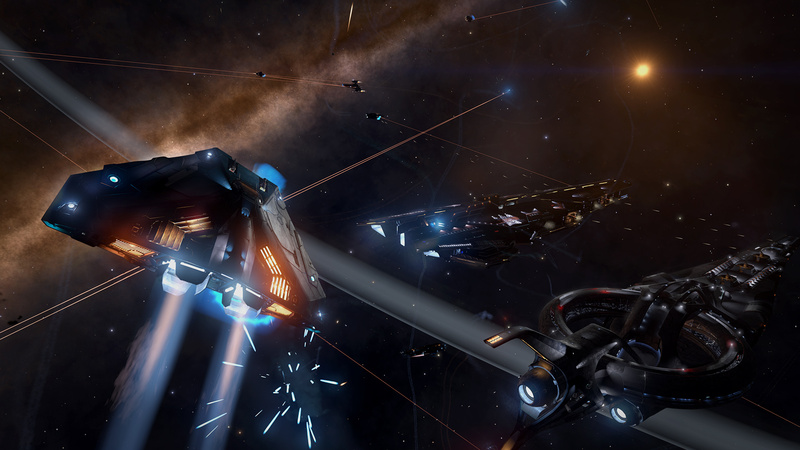 But the persistent environment in Elite Dangerous allows iterative improvements that make the whole experience more rewarding. The approach taken by Frontier is less aggressive than that used in Destiny, which creates a more cooperative relationship, and means most players will be happy to part with real money without complaint. This isn’t necessarily more successful in terms of profit, as Destiny is very popular, but the reward is positive community engagement. Something that Bungie and possibly Activision should pay close attention to. I could reel off a list of games that all provide their own approach to games-as-a-service, such as Eve, Star Wars Battlefront 2, or any number of mobile downloads like Clash of Clans or Candy Crush. Some of these are deliberate pay-to-win titles that allow immediate advancement at a real world cost, but obviously provide no improvement to a player’s skill. It’s all about immediate gratification and providing an alternative to the stereotypical ‘grind’ that some titles feature as the long road to advancement. Elite Dangerous, arguably the largest environment of any game. But let’s get back to the main topic of this article: Halo 6, or the lack of it. 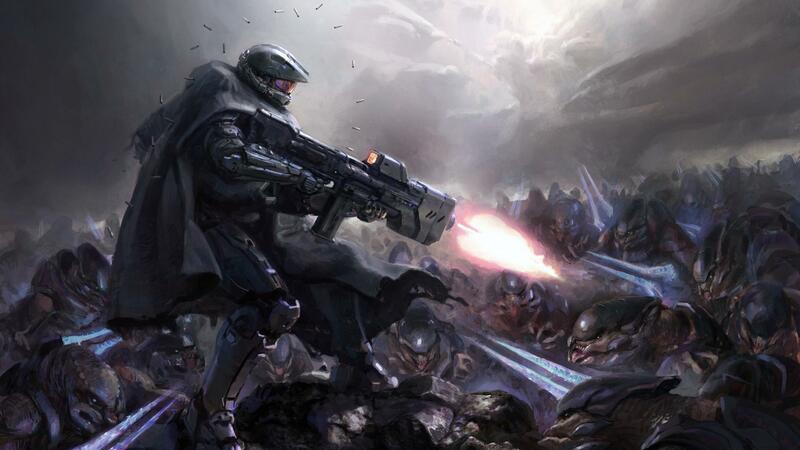 Ultimately, the arrival of Halo 6 depends entirely upon the game plan for Halo 5: Guardians. And there’s no reason why the games-as-a-service route won’t apply to Halo 6. Unfortunately that means no Halo 6 for quite some time. In fact, I don’t think we’ll be playing it before 2019. And that’s the downside to games-as-a-service: the slow run of releases. Halo 5: Guardians came out in 2015, and it’s now 2018, with no hint of the next iteration of the series in sight. Those who have played Halo Wars 2 will know there’s a strong indication of a follow up, but whether or not that comes from the main series or another Halo Wars title is unclear. I suspect both formats will release on alternate years. But some of us are huge fans of what happens next to the Chief, and while games-as-a-service is great for business, and keeps us players engaged for longer periods, it does very little to satisfy the evolution of the fiction surrounding events post-Halo 5, unless you delve into some of the novels and short stories. If I had to guess, I’d say we’re due Halo 6 in 2020. And it’ll probably feature at E3 in 2019. Until then you’ll just have to be patient. Let us know how you feel about this in the comments below. Flugel Meister (Dave) is a longtime video gaming fan, who's love for all things pixelated began way back in 1980, when he ventured onto his brother's Grandstand console before progressing to a Dragon 32 and then a Spectrum 48K. That's right. he's old. When he's not gaming, he can be found swimming in the country's reserves of cheesecake.